1. If you compare with other berry fruit species, strawberries have most fiber content. 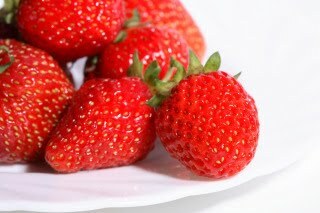 Strawberries also contain anthocyanidins that are helpful for maintaining a healthy heart. 2. It also contains 40 micrograms of folic acid, which is highly recommended for pregnant women and good for the red blood cells. 3. Besides the fruit, strawberry leaves also have medical benefits. The leaves also have astringent substances. Mashed strawberry’s leaves finely and then use as a mask! That’s very useful for preventing skin wrinkles.